Welcome to BadmintonMonthly – your ultimate badminton resource with latest reviews, guides and tutorials. Badminton is a sport that can be enjoyed by both novices and experts. It is also a good way of building and strengthening relationships, for example playing with friends at the beach or a father and son having fun in their very own backyard. Whatever is the reason, be it fun or involved in competitions, you will need to get a badminton set first. You can check out our review of best badminton rackets. A complete badminton set consists of rackets, shuttlecocks and a net with bags as optional items. Some other essential badminton equipment to look into would be badminton gears, namely attires, top badminton shoes, headbands and wristbands. Generally, most badminton rackets are made of graphite or aluminum which is considered lightweight materials. You have to take into consideration your level of playing when selecting an ideal badminton racket that meets your budget. Before we go into the selection on a badminton set, here is a little history of the game. Badminton was invented in ancient Greece and Egypt as a form of sport. Badminton was originally a child’ game and was initially called “battledore” or “shuttlecock.” Initially Badminton was played with a feathered shuttlecock back and forth with minor rackets. In the eighteenth century in India, Badminton was called “poona”. British army officers who were stationed in India during this time brought this version of Poona back to England during the 1860’s. Once it was back in England it spread slowly as the army met would introduce the sport to friends. It wasn’t until a famous party in 1837 that the game really got going. The Duke of Beaufort had a party at his country place where the sport was played. The name of the country place was “Badminton” in Gloucestershire. At the time of this party, the game had no name, and so it was simply referred to as “The Game of Badminton.” That’s how the game got its official name! Now that the game had a name, it spread quickly from England to the United States, New Zealand, Canada, and Australia. Despite its “male” beginnings, the sport is now pretty evenly divided with about the same number of women playing the sport as men. In 1899 the first All England championship for men was held and the first tournament for woman was organized in 1900. It was until 1904 that the “official” beginning of the All England matches started. In 1920 there were only about 300 badminton clubs in all of England, but by 1920 there were 500, and amazingly, only 10 years later, there were over 9,000 in the British Isles after World War II. The International Badminton Federation was organized in 1934 with 9 initial members – Canada, England, Netherlands, Denmark, France, Wales, Scotland, Ireland, and New Zealand and since then has been hosting numerous badminton world tournaments and championships. It wasn’t until 1981 that this organization because the sports only international governing body. The International Badminton Federation, in 1939, decided it was time for International competitions, and the IB president at the time, Sir George A. Thomas, Baronet offered a trophy to the winning team. Ironically shuttlecosk shortages during the war and post-war caused a delay in the first “Thomas Cup” games until the 1948-1949 season. Eventually, during the 1956-1957 season, the “Uber Cup” was held. The Uber Cup was a women’s international triennial tournament where the trophy was donated by Mrs. H.S. Uber of England. In 1992 Badminton was first contested as an official Olympic sport in Barcelona, Spain. 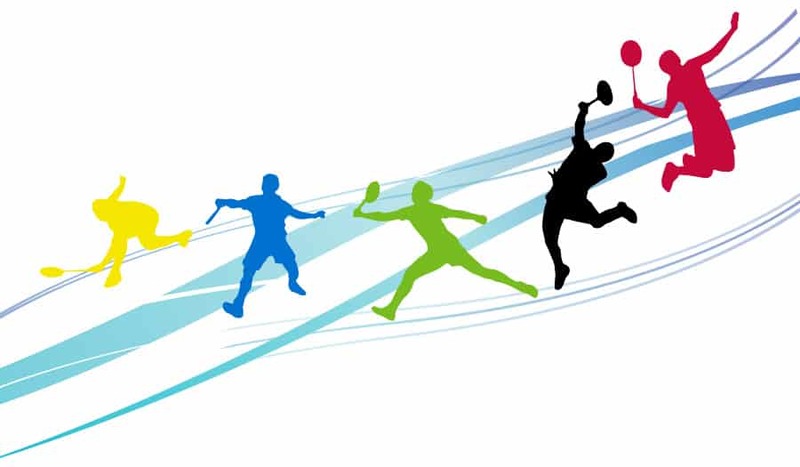 The game of badminton became an official Olympic game in the year 1992 where its popularity spread globally. Today there are various world Badminton events which includes the Uber Cup, World Championships, World Juniors, Sudirman Cup, the World Cup, and the World Grand Prix Finals. Although badminton is a competitive sport, it is also enjoyed by people of all ages. Not only do they like to play the game, but they also enjoy watching others play. Thus, it can be defined as one of the favorite sports of all time. The session of Badminton today is similar to tennis and volleyball and includes the utilization of a net, a shuttlecock and lightweight rackets. The shuttlecock is normally a cork ball fitted with quills for stabilization. It can be played with either 2 or 4 players, either indoors or outdoors on a marked court about 44 feet by 17 feet wide for two players and 20 feet wide for 2 players. The official measurements for the net are that the top edge of the net should be 5 feet 1 inch from the ground at the posts and 5 feet from the ground at the center. During Badminton play, only the serving side can win a point. If the side serving the shuttlecock fails to return they lose the serve and if the side receiving fails to return, they lose the point and they will receive again. A Badminton game is played to 15 points, except in women’s singles, which is played to 11 points. If the score is tied toward the end of a game, it can be decided through a procedure called setting. Setting is a tie breaking procedure which involves different procedures depending on the point at which the score is tied and the rules may be different for men and women’s competition. Beginners can use any rackets that come in a badminton set as long as the string tension is between 15-22 lbs while world best badminton players should be able to handle higher string tension of around 22-28 lbs. The other things to look into are the shaft flexibility, weight and the structure of the frames. Please note that the top of the line rackets can break, especially the strings. Therefore, restringing rackets are needed quite often so it will be convenient for you to have a regular store where such service is provided. All the more better if they can string your racket at a short notice. It is recommended to go for a mid-range priced badminton racket that not only offer you hours of enjoyment but has adequate features for serious matches as well. The next item is the shuttlecock which is a circular piece of rubber that has a crown of approximately fourteen to sixteen plastic feathers. Some termed them as “birdies”. Be sure to have more than one shuttlecock during a fun game because shuttlecocks tend to go missing and it will take away the fun searching for it. There are also plastic shuttles which last longer but for those who are taking the game seriously, feathered shuttles are recommended. Do get two to four packs of feathered shuttlecocks as they shred easily. 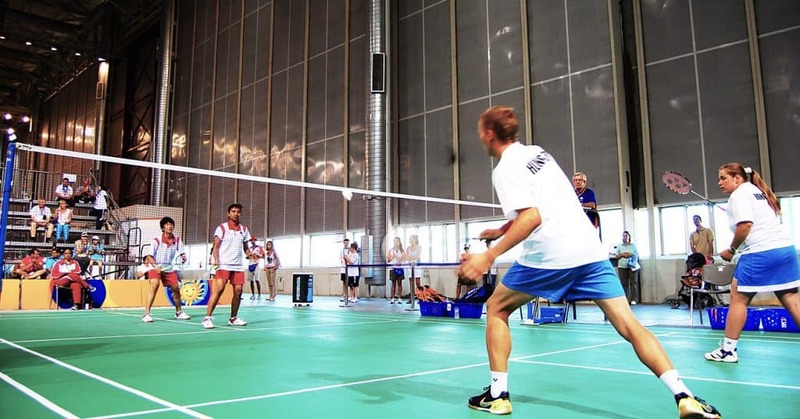 Badminton has a rich and interesting history, and its popularity is always increasing with the availability of inexpensive equipment and places to play, almost anyone can enjoy Badminton. 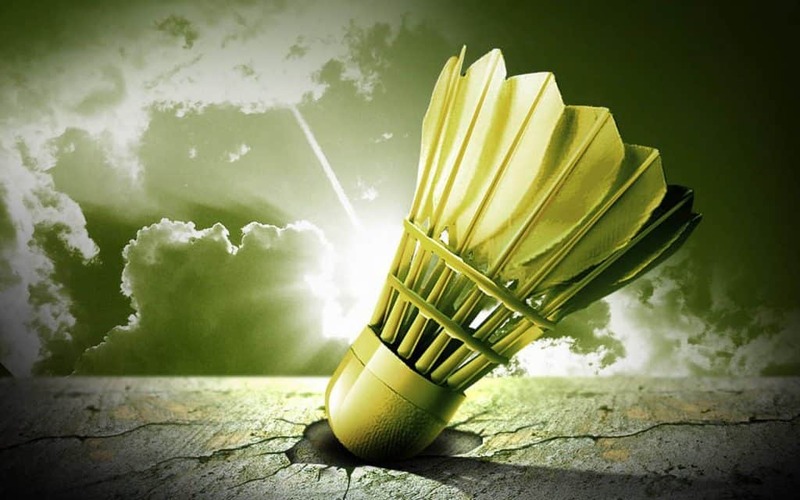 New competitions are being planned including the development of a SuperSeries and some one-off “Spectaculars.” Searching on YouTube for badminton yields all sorts of interesting videos and match play and exhibition games. Now let’s start with the first basic lesson: How to play badminton.